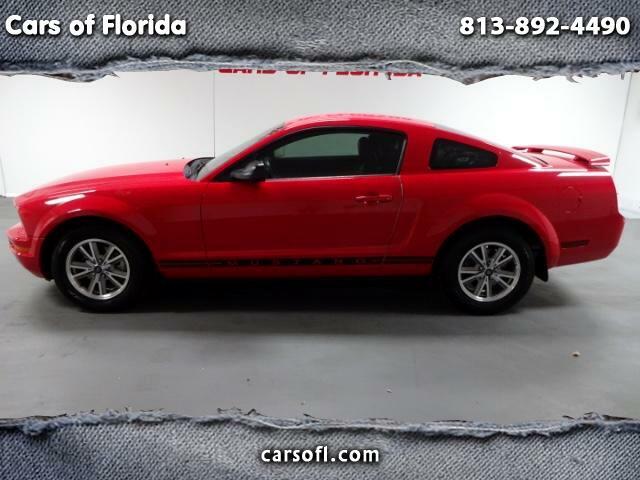 Cars of Florida is proud to announce this ONE OWNER 2005 Ford Mustang Deluxe with only 90,000 miles. This vehicle is equipped with a smooth shifting automatic transmission. Take a look at the exterior and you will fall in love with the flawless red paint exterior and black leather interior. Rear wheel drive with ventilated disc brakes, Security Alarm with remote fob, traction control and Shaker sound system are just a few of the options loaded up on this gem! Vehicle reveals a spotless exterior and interior with no mechanical issues. AC blows ICE COLD for this Florida heat! All components have been tested and this pony is ready to be taken home for immediate delivery! Schedule your test drive today and see why this Mustang is the sports car you been looking for at a not so sports car price!